The buzz behind Angel Olsen has been building steadily surrounding the release of her latest record, Burn Your Fire For No Witness. Angel is not new to the indie scene by any means but it seems audiences have finally caught up to her sonically. Like many contemporary indie artists, it is almost impossible to nail down what genre she plays and I'm sure that's just the way she likes it. Contemporary musicians live in the same iPod universe you live in and they listen to a huge array of musical styles just like you, and the best of these musicians have found a way to acknowledge their many influences without merely ape-ing them. I could hear Grace Slick, Loretta Lynn and Ronnie Spector in Angel Olsen's songs last night. As a performer she is absolutely captivating, she has that quality in which each audience member feels as though they are being personally serenaded. Before leaving my apartment last night I was dreading a disrespectful audience. I knew that there was a lot of buzz surrounding Angel Olsen, which means there are a lot of people who will want to say they were there who might not actually care about listening. I haven't listened to a lot of songs from Angel but I knew that the arrangements were delicate and that there would be lots of quiet moments during the performance. Luckily, the audience last night was incredibly reverent. I'm not saying that it was pin-drop quiet and that's not what I expect but people weren't yelling over the music about completely inane matters. For the most part the sold-out crowd just stared, trying to catch all of the lyrics as the dark, brooding music swelled. There was a moment during the last song in which a dude started shouting at someone who was apparently trying to quiet down their section of the crowd. The yelling dude kept saying that the shoosher was the rude one for scolding everyone around them. The outburst was HIGHLY noticeable and it made Angel Olsen visibly uncomfortable. She continued performing her song but that song turned out to be the last one with no encore, which the audience was DEFINITELY waiting for. Even when the houselights finally came up, at least a third of the crowd stood in place staring at the stage in hopes of hearing another tune. Part of my logic for going out to Red 7 last night was to see Angel Olsen before SXSW so that I wouldn't have to take time during the festival to see her. That may sound odd to those of you who don't attend SXSW but for my fellow veterans, you get me. I know that most of you reading this were not at the show last night and you WILL be going to SXSW so I can tell you that the hype is substantiated. 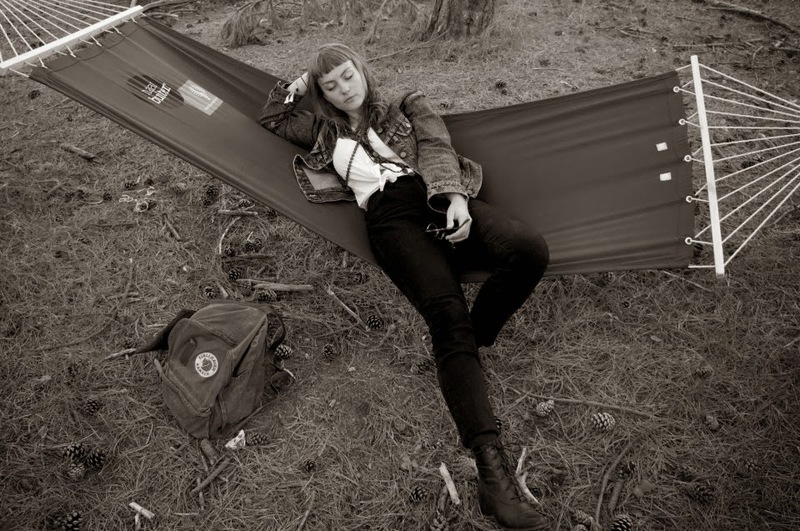 Angel Olsen is not famous for being pretty, or popular because the cool blogs said she is, she is the real deal. This is a performer with star quality, who writes beautiful, haunting music and she is backed by an incredibly solid and versatile group of musicians. In other words, I highly recommend her as an artist to watch during SXSW however, I have to add some caveats. Angel Olsen has two official showcases during the festival and those are the only events that will do her act justice. If you're planning to see her during some drunken day-party in a parking lot filled with people grappling for free, domestic, light beers then just don't. Also, I expect that Angel will be playing the summer festival circuit and I think that's great for her and that she will win new fans that way but that is not the ideal environment for her music either. You want to see Angel Olsen in an environment that encourages rapt attention. Ideally, you will see her Friday night Pitchfork showcase performance at the Central Presbyterian Church. That will be her first official showcase THAT NIGHT, then she will play again at Red Eyed Fly the very same evening. I just wanted to add that I had mentioned to a friend last night that both Angel Olsen and Jess Williamson have that haunted country quality that I love about T-Bone Burnett produced music. Then after Angel's first song, while she was changing the tuning of her guitar she asked the audience if they've been watching True Detective. I thought that was funny because T-Bone is the music supervisor for that show and Angel Olsen's music would fit perfectly in the show tonally. Turns out Angel is fixated on the paper dolls that Matthew McConaughey's character constructs out of Lone Star cans. But that is neither here nor there.